The business game "Student Quest" was held at USUE, a competition with elements of a logical game or a cultural event with elements of a sports match. 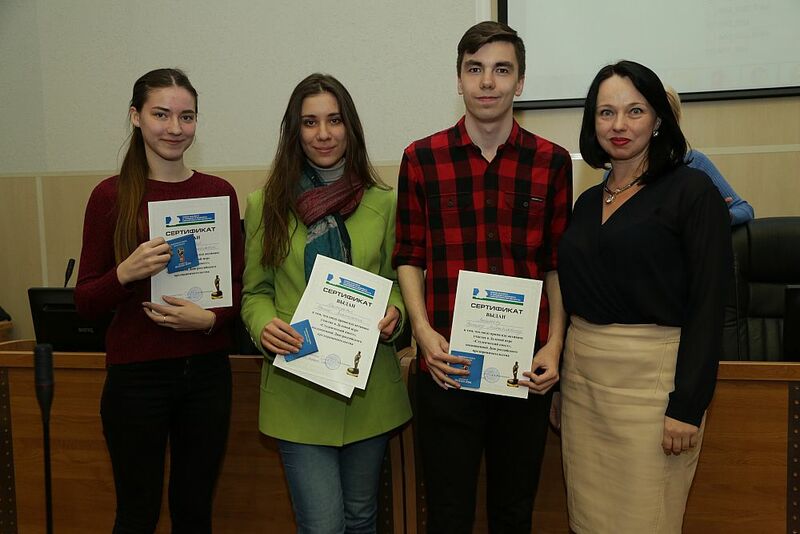 Seven teams of USUE and GSEM of UrFU took part in the competition. The student quest started at the entrance to the USUE building. 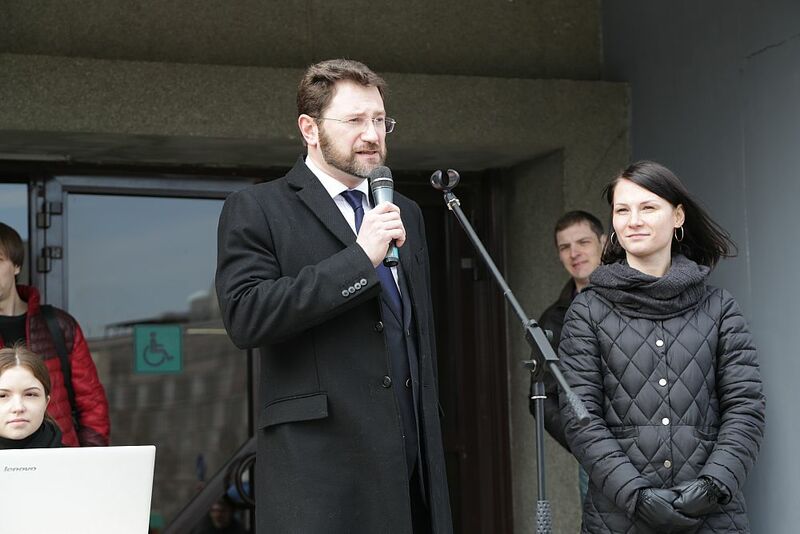 The participants were greeted by the director of the Institute of Management and Information Technologies Alexander Kokovikhin, "We are pleased to open the event. This is the result of a long-term cooperation between USUE and the Union of Small and Medium-Sized Enterprises of Sverdlovsk Oblast. 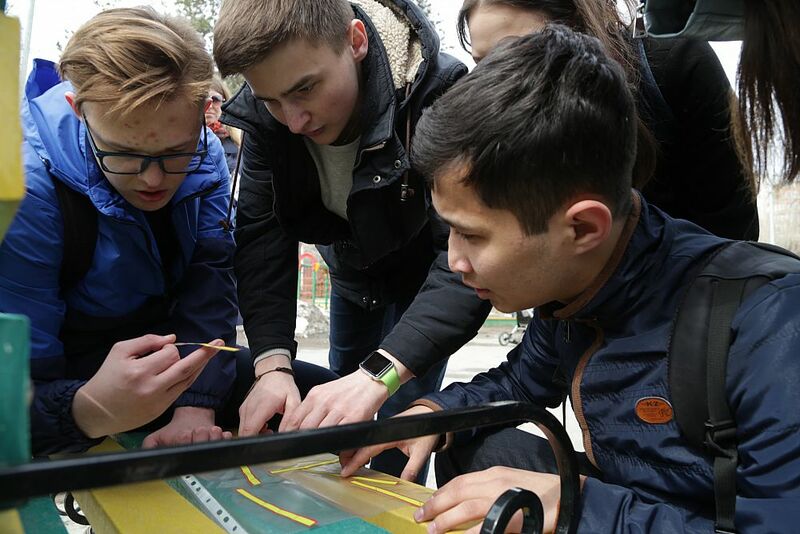 We hope that during today's quest, solving practical problems during a business game you could feel yourself as a real entrepreneur. " 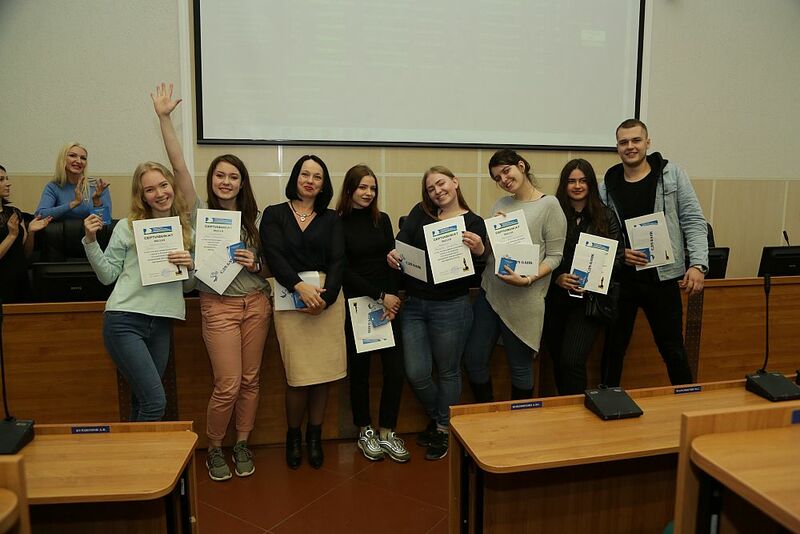 The students had to go through five stages "Privilege-SRO", "AS-consulting", "SDM-Bank", "LLC Registration", and "Office Search". The last two stages were the most interesting for the participants. 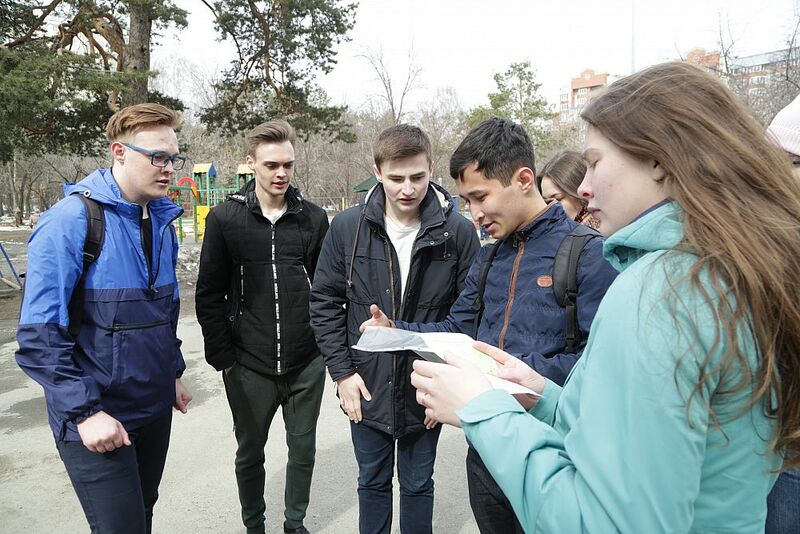 At the stage of "LLC Registration" an agent issued a trip ticket with the map of the park "Green Grove", where there were three other agents. 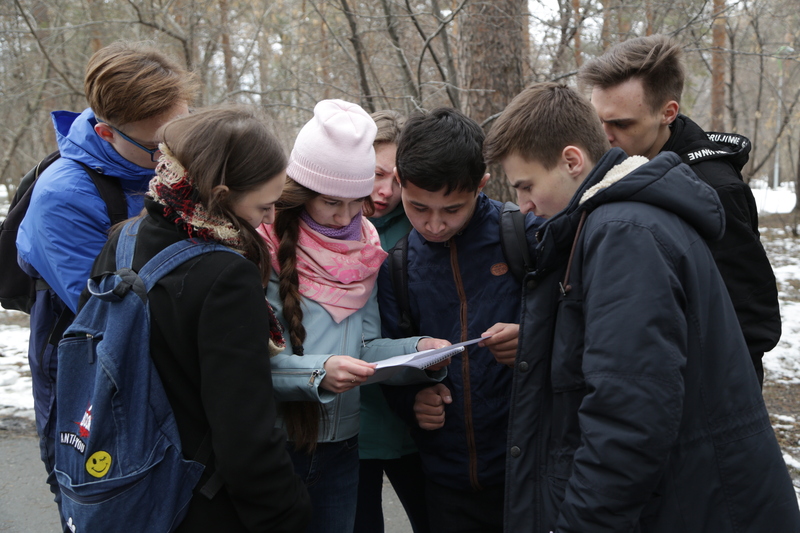 Having completed the tasks of 3 agents: "Lawyer: misprints in the contract", "Accountant: cutting paper", "Programmer: a diskette with information", the participants returned with the completed trip ticket and a “tax inspector” put a stamp indicating the location of the code that would close the level . 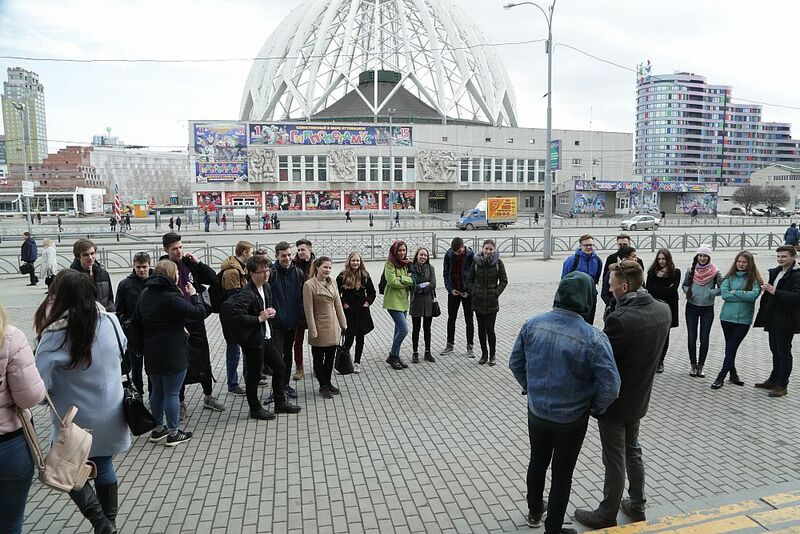 To go through the stage "Office Search", the students had to run to Kharitonovsky park. There, an agent-realtor showed photos with some sites. According to those photos, participants had to understand where the pictures were taken from and find codes in these places. After successful searches, the realtor issued a book, thanks to which the participants made a puzzle from the found codes and solved it. For each completed task, the participants automatically accrued bonus minutes. The winners were the students who earned the most bonus minutes in 3 hours. 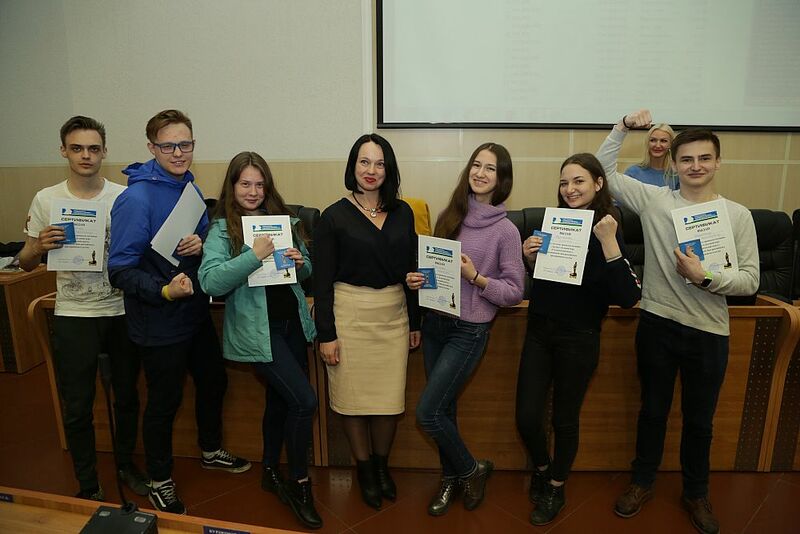 As a result, the first place was taken by the GSEM team. 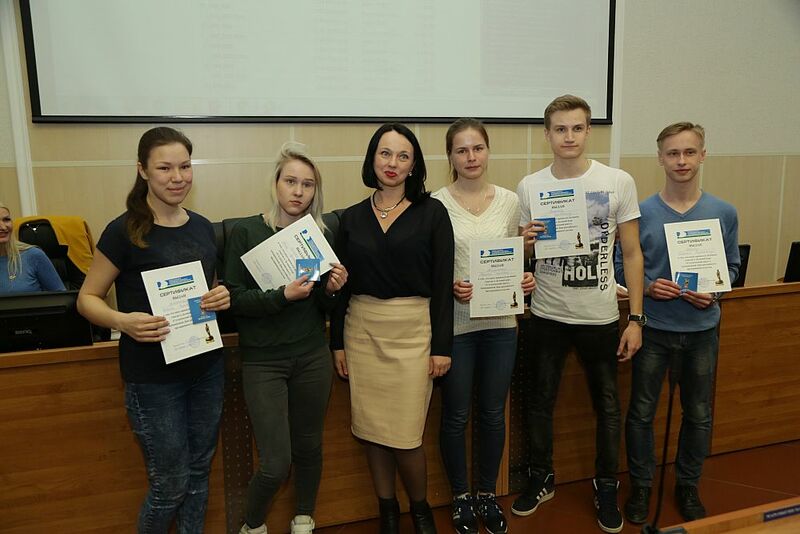 The second and third places were awarded to the teams of USUE. The students noted that the participants were especially interested in using the gaming platform - a special application for a smartphone. The students received all the tasks through this application. All participants of the quest obtained prizes from the sponsors of the event. В УрГЭУ прошла деловая игра «Студенческий квест» – соревнование с элементами логической игры, культурное мероприятие с элементами спортивного состязания. В борьбе приняли участие семь команд УрГЭУ и ВШЭМ УрФУ.